Not having enough time to cook or did you get just a little lazier during your Erasmus? Are you a real pizza lover? 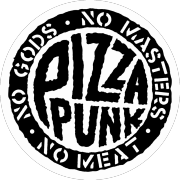 Then you have to try this delicious vegan pizza from our partner Pizza Punk. Not only will you make your belly happy and full but you will also save 20 % with our ESNcard discount.